I hate when I am given a specific amount of money to spend. People who are close to me know that the best gift to give me is a coupon or gift card of some sort, or just plain cash, because then I am able to choose the exact gift that I want - no hassle. However, once I am given the coupon or cash, I go through thousands of choices and combinations in my mind and fret and grumble for forever before I finally come to a decision. It is so difficult to choose! I could go with a basic Proenza Schouler purse, OR I could purchase a Diane von Furstenburg purse, a Tory Burch iPhone case, and an Ami Dans La Rue sweater. They all come down to almost the same price. Which should I get?! I am partial to the PS, but if I get that, it means that I will have to forgo that beautiful Tory Burch iPhone case (my favourite item in that group). 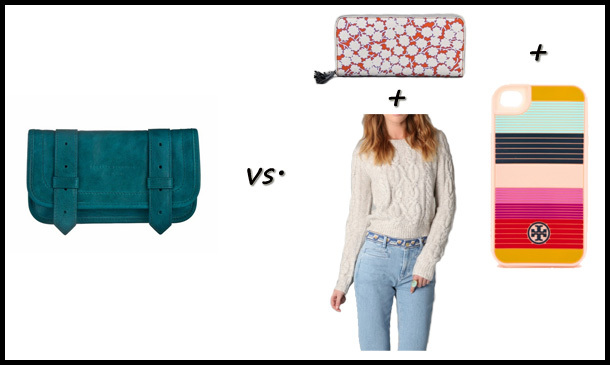 But if I get those 3 items, the prettiest purse available (the DVF) pales in comparison to the PS purse. These gorgeous rings are similar in style to the ones that Lisa Eldridge wears in her videos, and I have been coveting these gorgeous things for forever! 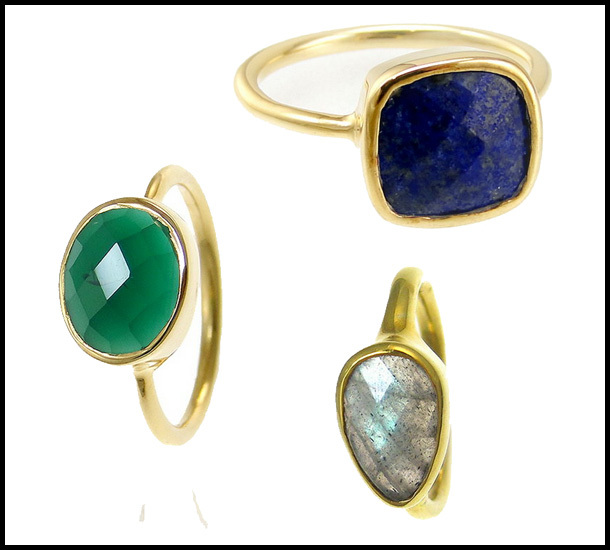 They are handmade gold vermeil and feature semi-precious stones. WANT! So what do you guys think? Anyone willing to offer an opinion? I would very much appreciate it!